As the third largest city in Pinellas County, Florida, Largo has a population of just over 79,000 residents. It's also found very close to Clearwater Beach, Indian Rocks Beach and many other popular beaches. These beaches attract a number of visitors every year, which only adds to the population. Largo is also located near Tampa, which means many of the residents drive throughout a much larger area than just the city itself. Pinellas County actually has a population of about 920,000 residents, which includes St. Petersburg and Clearwater. U.S. Route 19 runs through the area and provides one of the major highways for residents. 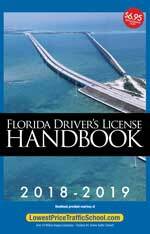 US 19 carries over 100,000 vehicles on an average day. The larger, metro area includes Interstate 75, which is known as the 15th deadliest highway in the country. The general Tampa area is also known as the second deadliest for pedestrians. Largo is also connected to the larger metro area by Interstate 275. I-275 is the loop around Tampa and serves thousands of drivers every single day. Traffic accidents in both Largo and Pinellas County are on the rise. If the law officers in the area didn't do their jobs, the statistics for traffic accidents would be far worse in Largo, Florida. More than 64,000 traffic citations were issued in Pinellas County for 2015. About 18,000 drivers were caught speeding with more than 12,500 caught driving carelessly. Another 6,700 ran red lights and were caught by the red light cameras, while nearly 3,000 were pulled over by law enforcement officials for running a red light or a stop sign. Out of all the tickets issues, judges only dismissed about 6%. The chances of getting out of your ticket are very slim. Having your driver's license suspended isn't an ideal situation, especially if you need to drive to work. If you receive too many traffic citations, you will end up with a suspended license, however. It only takes 2 or more tickets, depending on the points, to have your license suspended. After you receive 12 points in 12 months, 18 points in 18 months or 24 points in 36 months, you will be stuck dealing with a license suspension ranging from 30 days to a full year. 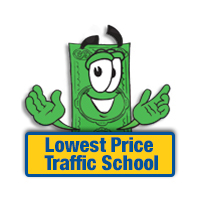 Traffic school allows you to erase the points from your traffic ticket. You will need to take the basic driver improvement course, which is offered through online traffic school. It's very simple to enroll. Start by paying your ticket and letting the clerk of the court know you will attend traffic school. Then, enroll right online and take the course at your convenience from home. Once you've completed the course, you will receive a certificate of completion. Turn this into the clerk of the court and you will be all set. Not only will erasing points help you keep from ending up with a suspended license, but you will also keep your car insurance rates from going up. The State of Florida allows you to use the basic driver improvement course offered through online traffic school up to five times. It can be used once every 12 months to erase points from a ticket. The course will not get you out of the fine associated with the ticket, but it will allow you to keep your insurance rates from going up and keep points off your license. If you haven't taken the course in the last 12 months and you haven't taken it at least 5 times in your lifetime, you're eligible. All traffic tickets issued by any branch of law enforcement in Largo are handled by the Pinellas County Clerk of the Court. The clerk of the court will take payments and provide any necessary information. You will also need to inform the clerk if you wish to attend traffic school. Find out more about the Pinellas County Clerk of the Court by visiting their website.